Well this is embarrassing. Or is it intentional? Or is it a hoax. 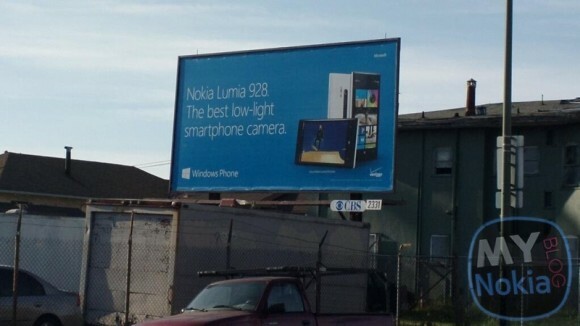 A billboard (supposedly located in the US) advertising the yet unannounced Nokia Lumia 928 has popped up. The image looks pretty close to the images we've seen and reveals the Xenon flash. It even goes as far as saying the Lumia 928 has the best low-light smartphone camera. To add fuel to the fire there's a Verizon logo too making the billboard seem a bit more legit. We have our guesses that the Lumia 928 could appear on the scene at Nokia's May 14 event. We even saw something like the Lumia 928 shooting videos at a private concert. As it usually happens the leaks start to intensify right before a product hits the market. I have. It's lag city. The only phones I haven't seen lag on were; HTC One and Galaxy S4. Was surprised when I used the XPeria Z and saw lag on the home screen while scrolling.